Learn more about how renewable energy can benefit you. See how you can help the environment while saving on your monthly utility bills. Are you looking at installing a new fireplace in your home in the East Metro & Western Wisconsin area? View our fireplace showroom to see which fireplace may be right for your home and learn more about what will suit your needs for the space you have. Keep your home comfortable through any season by scheduling an annual unit tune-up. Old, drafty fireplace? Warm up your home through the colder seasons with your new gas fireplace insert. Fireplace inserts are a great way to utilize an existing fireplace. Inserts are available in numerous designs to accent any decor. Transform your fireplace today! Keep your home warm and cozy through the colder months of the year by keeping your furnace running efficiently. Stay cool and comfortable through the summer heat when you install an energy efficient Air Conditioning unit. Learn how you can save money and reduce carbon footprint a new geothermal home comfort system. Do you have an electrical repair? Are you installing new wiring in your home? We have electricians to help with any job. Have a plumbing repair? Are you remodeling a kitchen or bathroom? Our qualified plumbers are experts in the field. Give your home a face lift when you complete your look with a new fireplace or update your existing one with a new insert. We are a Wisconsin based, family-owned company that values excellence in the quality of our brands and products, as well as the relationships we've built over the past 25 years. We offer a variety of home comfort products that you can enjoy indoors and out! Located in 4 locations, Ellsworth, WI, Hudson, WI, Osceola, WI, and Hastings, MN, Comfort By Design is a leading area provider of advanced, high-efficiency heating and cooling, electrical and plumbing solutions for residential, commercial and industrial applications. SALES & SERVICE ON ALL MAKES AND MODELS! We go the extra mile to earn your business and never stop working to keep it. Comfort By Design, is a Wisconsin Heating, Cooling, Plumbing, Air Conditioning, Geothermal Heat Pump, Fireplace and furnace repair, service, replacement and maintenance Company located in Pierce County. Comfort By Design employs only the best plumbers & technicians for plumbing repairs, ductless mini split, air conditioner repairs and, furnace repairs as well as all air conditioner replacements, furnace replacements and boiler replacements in St Paul MN, Rosemount MN, Farmington MN, Hastings MN, Hampton MN, Randolph MN, Cannon Falls MN, Welch MN, Goodhue MN, Wanamingo MN, Zumbrota MN, Pine Island MN, Mazeppa MN, Red Wing MN, Lake City MN, Millville MN, Reads Landing MN, Wabasha MN, Hastings MN, Cottage Grove MN, Afton MN, Lake Elmo MN, Stillwater MN, Pepin WI, Stockholm WI, Arkansaw WI, Plum City WI, Maiden Rock WI, Spring Valley WI, Wilson WI, Woodville WI, Beldenville WI, Ellsworth WI, Bay City WI, Hager City WI, Prescott WI, River Falls WI, Roberts WI, Hudson WI, Houlton WI, Star Prairie WI, Deer Park WI, Amery WI, Clear Lake WI, New Richmond WI, Glenwood City WI, Hammond WI, Knapp WI, Downing WI. So when you ask to find "A good heating, air conditioning, and fireplace repair or service company or plumber near me," you've come to the right place. To set-up a repair service estimate or replacement estimate, call (715) 273-3658. 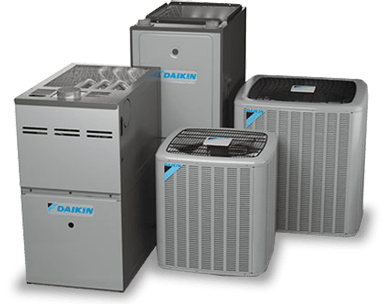 Comfort By Design services all furnace, AC, humidifier, filter, thermostat and water heater brands including Carrier, Bryant, Payne, Trane, Lennox, Rheem, Ruud, Amana, Crown, Frigidaire, Gibson, Goodman, Lochinvar, Maytag, Weil McLain, A O Smith, Kohler, American Standard, GeoExcel, General, Aprilaire, Honeywell, Daikin, Mitsubishi, Fujitsu, White Rodgers, Dynamic and Skuttle.